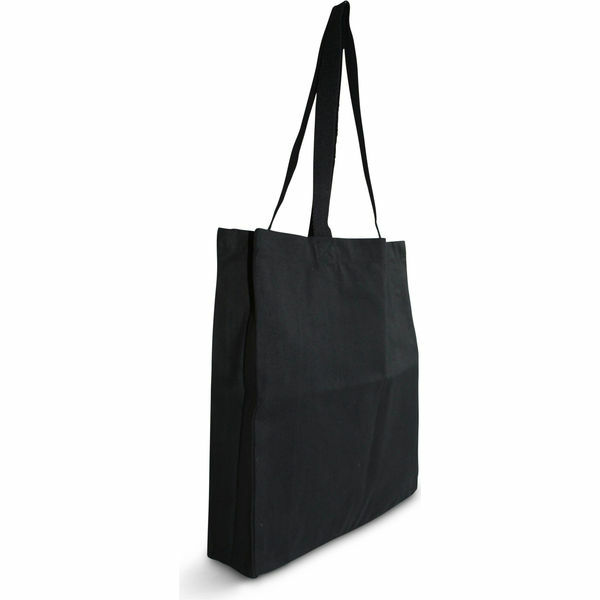 Made using a biodegradable and sustainable 10oz dyed black canvas material with shoulder length cotton web handle. Bag size is 35cm wide x 40cm high with a 10cm side and base gusset. Lead Time: Standard delivery 10 working days.